Comfortable, snug fitting and flattering, Ohm Top offers a fun design with stylish interlaced strands at the back that form a beautiful woven pattern. 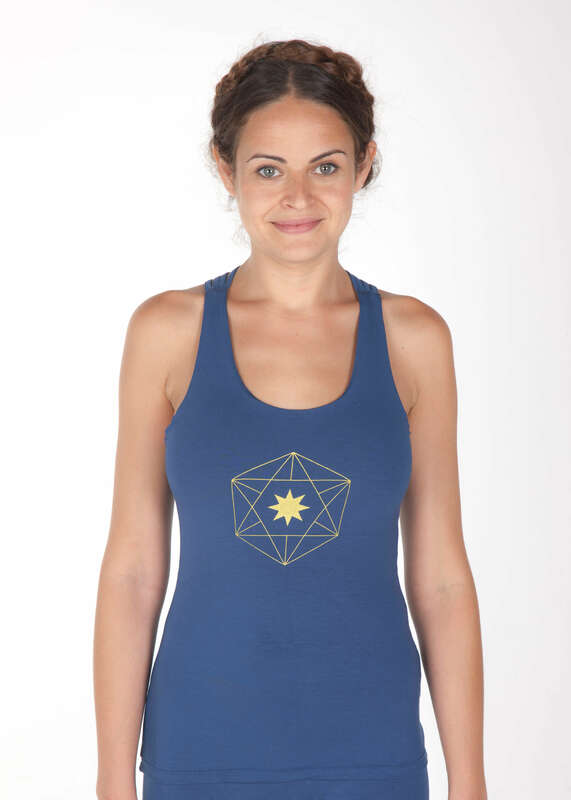 Featuring our sacred geometry Andara Stars logo at the center front to connect and activate your personal Light Body. Andara Stars logo at the front comes in an elegant gold print in all Ohm Top colours, apart from the Eucaliptus option, which comes in a Chocolate colour print. Available in Black, Off White, Tosca, Spicy Orange, Indigo and Eucaliptus. You can see our colour chart here. Available in Black, Off White, Tosca, Spicy Orange, Indigo and Eucalyptus. Black, Off White, Tosca, Spicy Orange, Indigo, Eucalyptus.